Have you ever cringed when your child said or did something, not socially acceptable? 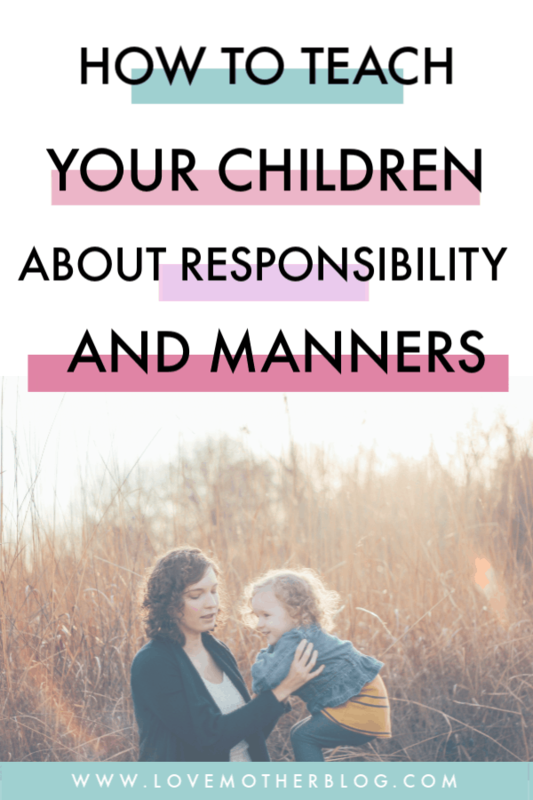 Have you ever envied another child, as she politely asked her mother for something, while your daughter grabbed it off the table then stuck her tongue out at you? Do you need help to teach your kids manners? I have some actionable steps you can implement that I have seen work over and over with our children, and our foster children. I also created a printable responsibility chart system to entice your kids to want to be kind and have excellent manners. So I thought I would share some tips and tricks with you. To me, manners are very important, and to others maybe not, but if you are reading this then I think you might find some value in teaching your kids manners. Why is it important to teach your kids manners? Teaching our children manners is important, and not only so that we feel like we did an adequate job parenting them! Manners essentially are an awareness to the feelings of others around you. Making others feel comfortable in your presence. We all know that weird uncle, or friend who farts at a formal dinner or brings up an embarrassing story from the past in front of a group of new friends. Does it make you want to be around that person? My answer is heck no. I like to be around people who are respectful of others around them. People I feel are trustworthy and thoughtful. I want my children to grow up to be successful, contributing members of our society. I want them to be respectful, and considerate of others. I want them to embrace other’s differences, be kind, polite, and loyal. This all starts with manners, and I believe the earlier you start the better the outcome! This awareness of others starts to develop around 18 months old. I have seen it in my daughters, foster children, and in my friend’s kids. They start to realize that grabbing a toy away from their playmate makes them sad. If I would make a sad face at my daughters they would give me a hug and try to put a smile back on my face. Where a few months prior they would have been oblivious to why I was frowning. This is why the earlier you start to work at teaching your children’s manners, the better. Manners, after all, are a good habit. Not just something you pull out when you are trying to be on your best behaviour. Remembering to say please when you ask for things and thank you when something is given to you, will eventually become second nature if it is something taught young and taught often. I look at manners as an essential life skill to teach my children, right along with healthy sleeping, and eating habits. If your child starts school, and doesn’t know how to share, or is mean to the other children, pretty soon he is going to find himself without friends. I have seen this in our foster children who haven’t been taught manners. They quickly become alienated in a group of friends, because the other children do not like the way they behave towards them. Now manners are not something that are going to be learned easily. We are all born sinful. You must be consistent, and remind your child of the importance of them. We still struggle with our 5 and 4 year old saying hello to people when they say hello. Saying thank you if an adult compliments them on their pretty hair or dress at church. Both of them tend to be more reserved, and by no means do I expect them to become outgoing and say hello to every adult that passes, but I do expect a quick hello, or thank you in response to an adult speaking to them. At the very least a smile. So remember this when someone cuts you off in the car, or steps in front of you in line. Don’t let yourself be walked all over in the name of manners but be kind and courteous to all you meet. Please do not think I am perfect with this, my temper is quick to rise, and sometimes being courteous is not on my list of priorities. But I do consciously make an effort to do my very best. So, how do you teach your kids manners? Well, I start with the things I don’t want my kids to do. Like bodily functions without excusing themselves, nose picking, sleeve wiping, and horse chewing! When they are toddlers we reiterate, no throwing food, encourage using utensils, and have them carry their dish to the sink. Make a big deal about proper table etiquette, and reward them. As they get a bit older and understand more, we remind them to chew with their mouth closed, use their napkin, and sit still until excused. Please, Thank you, Your welcome, Excuse me, sorry, and I forgive you. These words are built into everyday vocabulary. After teaching them the words, and being consistent, you can expect at by 2 they understand the meaning, even if they cannot clearly say the word. By 2.5-3 I do not respond to “demands”. I simply ignore the request, or remind them by saying “what did you forget?” Until they add the appropriate word into what they are asking. Sometimes I want to pull my hair out before having to remind them once again to say please when they ask for water, but I know it is for the greater good! If they do not say thank you when I give them their snack, I simply pick the bowl back up until they have said it. I always try to say your welcome and model that. Eventually, your kids will start following suit. By about age 2 kids will understand sharing, but that does not mean they will want to. Gently encourage your toddler to give a toy to a sibling or a friend, and make a big deal about how they shared. Say the word a lot, and eventually, they will get it. Sharing is tough, even for adults. Just ask my husband about the look he gets when he dips his hand into my bowl of popcorn! Eye contact is another big one. It is very easy for kids to seem like they are listening but really they just cannot wait to get on to the next thing they want to do. When I am speaking to my children, I am always reminding them to look at my eyes. Especially if we are discussing bad behaviour. I teach them that looking people in the eye is a sign of respect, and they must be respectful towards mommy and daddy. If they stop looking I simply stop talking and wait until they look again. They always will look again because they wonder why you are not speaking anymore. This is the current bane of my existence. With so many littles there is aways one trying to say something, and another one trying to interrupt. There is constant interruptions when my husband and I are trying to speak. Or I am trying to speak with one of the kids. We gently remind them to say excuse me, and to wait their turn. If the interruptions continue then we simply ignore them. This one is huge, especially once they reach school age! I have even gone so far as to move myself and a friend into another room and either gesture with my hands (holding up one finger to signal “just a minute.”) I by no means am ignoring their needs or requests but they have to learn to be able to interrupt someone politely and not just barge into the conversation. I hope these tips are helpful for you! I am always trying out different parenting techniques, to make my life easier, and to help my kids. I use a chart system. Similar to a chore chart, or reward chart, but I created this responsibility chart you can access in the content library. The chart has worked so well with our family. 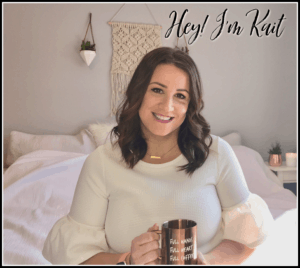 It has helped me to stop the nagging, and yelling (ugh a whole other post on that to come) and it helps my kids to see the clear expectations for them. Read lots of books about manners! Here are some of the bestselling kids manners books on amazon. The more books you read them about manners, the more quickly it will catch on! I love the work ethic, and positivity that the responsibility chart method is teaching my children. 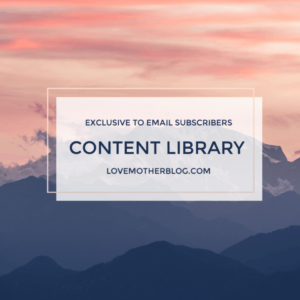 If you want to try this out with your kids, subscribe to the free content library, and help your kids be the best version of themselves, and make motherhood a little bit easier!